Is a noise getting on your nerves? We hear you! 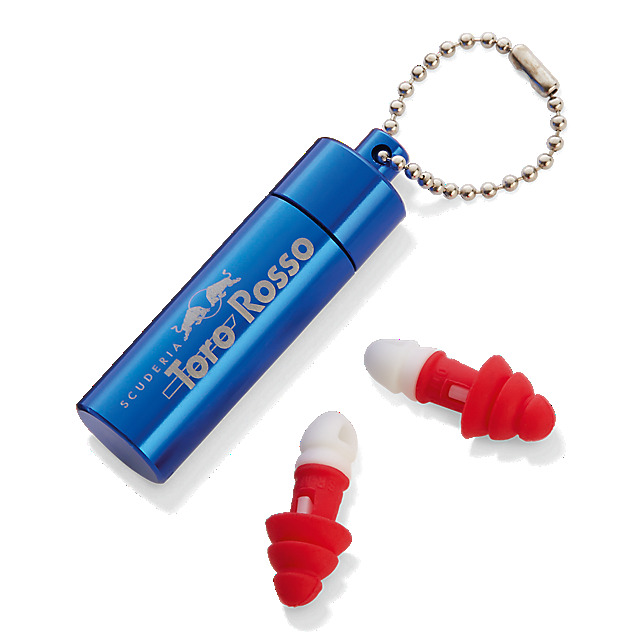 The Scuderia Toro Rosso earplugs are the perfect accessory for home or travel. The practical storage case is attached to a keyring and contains a set of earplugs made from moldex for a comfortable fit. The case is designed in reflex blue with a Scuderia Toro Rosso logo in silver.